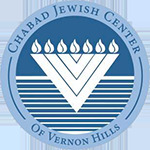 At Chabad of Vernon Hills we see a Bar/Bat Mitzvah as an opportunity for a child to explore and discover what being Jewish really means. Not just lavish parties, a Bar/Bat Mitzvah is an experience that can mold a child, leaving an everlasting imprint on his/her life forever. Prepare your child for the most important day of young adulthood. The transition from child to teenager is an important milestone in any child's life. Give your child the tools he or she needs to properly navigate life as a responsible adult.